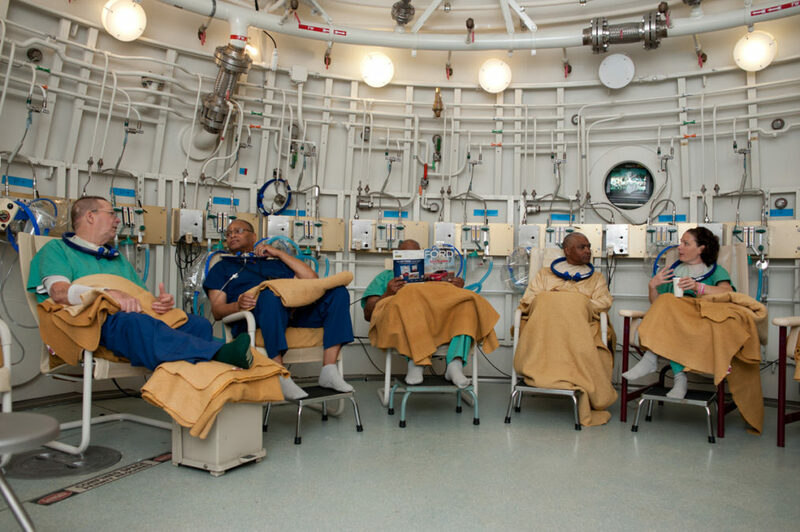 At the David Grant Medical Center at Travis Air Force Base in Fairfield, Calif., the Department of Veterans Affairs last year announced a pilot program for hyperbaric oxygen therapy. It’s being pitched as a new treatment for post-traumatic stress disorder. 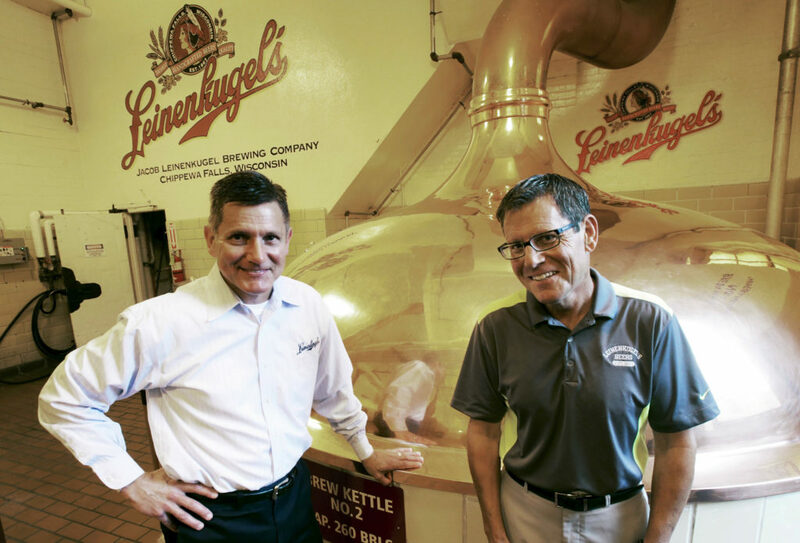 After Wisconsin beer mogul Jake Leinenkugel was tapped by President Donald Trump in 2017 as a White House adviser on veterans’ issues, he quickly identified mental health care as a top priority, alongside privatization of services. That combination has touched off a behind-the-scenes race by private companies, some offering questionable – or at least unproven – treatments for the signature injury of modern war: post-traumatic stress disorder. In a small ballroom in the basement of the JW Marriott hotel in Washington, five senior VA doctors expressed some openness to private options – but with clear limits. All fiercely defended the VA’s current approach to mental health care and cautioned against widely adopting any unproven treatments. The acting assistant deputy undersecretary for health for patient care services, Dr. Marsden McGuire, warned against “quackery” and medical claims “made falsely, with ill intent.” He said he’s received complaints from VA psychiatrists who have been urged to adopt dubious treatments. He then recommended that the agency invest its limited resources in those treatments most likely to help. “There is some concern that if we put out these things as a magic bullet, we will redirect attention from things that actually have stronger evidence, that are going to work,” McGuire said. Alternative treatments include simple, less costly approaches such as yoga and acupuncture, as well as more expensive treatments with complicated names, such as hyperbaric oxygen therapy, in which patients are placed in pressurized tubes that deliver high levels of oxygen to the body, and magnetic resonance therapy, a “brain zapping” technique that uses magnets to influence the movement of protons in the cortex. Private providers are offering effective and conventional mental health treatments as a triage force in what has become an urgent suicide crisis among veterans, with roughly 20 former servicemembers taking their own lives every day. Amid these emergency conditions, some VA officials and veterans advocates are pushing for wider adoption of experimental treatments, arguing that no veteran should be denied therapy that could potentially help treat mental illness or lessen trauma. Yet others see these private interests as profit seekers, snake-oil salesmen or pill peddlers eager to bring veterans into a private system in which oversight is lax, PTSD expertise is thin and familiarity with military culture is limited. While many of these organizations work outside the VA entirely, others are aggressively engaged with the agency in an attempt to peel off patients directly through a partnership or to secure research money, pilot programs or an agency stamp of approval. Dr. Matthew Friedman, a clinical psychiatrist and one of the founders of the VA’s National Center for PTSD, said he’s recently witnessed an uptick in “self-proclaimed magicians” who are eager to partner with the agency. In June 2017, Leinenkugel sent an email to VA leadership with the subject line “Big Bold Ideas.” His proposals included cutting back staff at the agency’s central office by 35 percent, merging all homelessness programs for veterans into the U.S. Department of Housing and Urban Development, and ramping up suicide prevention efforts. At the first COVER Commission meeting in late July, Leinenkugel vouched for hyperbaric treatment, saying his support came after two groups spent a year lobbying him on its benefits. Despite positive anecdotal results, hyperbaric treatment for PTSD has been debunked by several studies, including one by the VA and Department of Defense that deemed it ineffective. In recent years, various interests have sought federal reimbursement for hyperbaric PTSD treatment, including the Princeton Wound Care Center, Healogics and the International Hyperbaric Medical Association. A COVER commissioner, Tom Beeman, is the executive in residence at the Pennsylvania College of Health Sciences, affiliated with the University of Pennsylvania Health System, which boasts one of the most comprehensive hyperbaric programs in the nation. Yet at least four members, including Leinenkugel, don’t meet these requirements, which has alarmed some mental health advocates. Some also are concerned that Casin Spero, a former official at the Koch brothers-backed Concerned Veterans for America, recently was appointed as the commission’s chief adviser. Other actors, including executives from major private health care companies, are expected to offer advisory roles as the commission moves forward. At the start of last week’s meeting, Leinenkugel stated his desire to be an “actionable committee” with the mission of influencing the VA, White House and Congress to make the “necessary and right changes” to the VA’s mental health care efforts. The VA and the White House did not respond to questions submitted by Reveal from The Center for Investigative Reporting. For years, the VA’s primary response to PTSD was medication. Reveal obtained documents that showed that from 2001 to 2012, VA prescriptions for four of the most common opioids – hydrocodone, oxycodone, methadone, and morphine – increased by more than 270 percent. The report sparked national outrage and meaningful reforms inside the agency. Since 2012, the agency has drastically cut down opioid prescription rates and sought to promote talk therapies as the best first-line treatment for PTSD. And while private entities have denigrated the VA for not embracing their alternative treatments, more than 90 percent of VA facilities today offer some type of supplemental therapy, from meditation and yoga to sweat lodges staffed by medicine men. While VA officials are acutely aware of the agency’s need to provide options to all veterans, many also worry about solving a more basic problem: shortages of mental health providers inside the agency. Since 2010, the number of veterans receiving care for PTSD from the Veterans Health Administration has grown by more than 50 percent. The VA has not been able to hire or retain enough mental health professionals to keep up with demand. Currently, it has a 12 percent vacancy rate for psychiatrists and a 13 percent rate for psychologists. Many at the VA worry that by adopting or endorsing unproven treatments, the agency will steer precious budget dollars away from needed hiring and clinically efficacious treatments and toward the pursuit of dubious, often expensive options. The cost of a single hyperbaric treatment, for instance, can be more than $1,000. While the widespread use of hyperbaric therapy is being mulled in Washington, the VA made the treatment available to VA patients in eastern Oklahoma and Northern California in November. 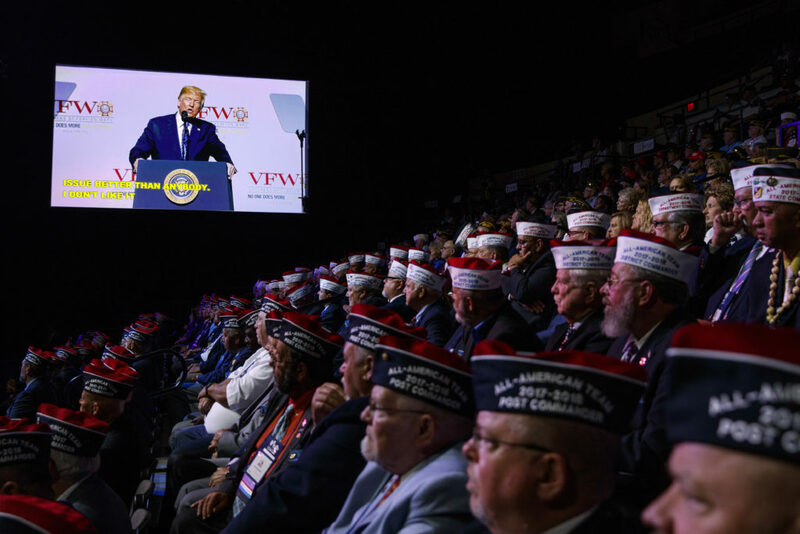 Following political pressure from Rep. Pete Sessions, R-Texas, VA officials said at last week’s COVER Commission meeting that the VA soon will offer the treatments to patients in San Antonio and plans to bring it to Tampa, Florida, in the next two months. Pressure to consider experimental private treatments extends beyond the COVER Commission. In April 2017, then-VA Secretary David Shulkin launched the Center for Compassionate Care Innovation, focused on forging partnerships with novel mental health and pain providers. Any type of treatment may be submitted to the office as a formal proposal, which, if found to be safe and potentially helpful, could result in deployment at hospitals across the country. The recent hyperbaric pilot was spearheaded by the center. A month after the center was established, the VA issued a directive that any agency-approved alternative therapy “must be made available to Veterans across the system, either within a VA medical facility or in the community.” Two months after the center was launched, the House Veterans’ Affairs Committee held a hearing about the promise of alternative therapies. “If you want to create hundreds of thousands of depressed alcoholics in our society, give them just enough money to never have to work again and tell them they are too disabled to contribute to society in any meaningful way,” Junger said. Kristofer Goldsmith, assistant director for policy and government relations for Vietnam Veterans of America, described the hearing as one of the most irksome he’d ever attended on Capitol Hill. While some major veterans organizations have offered qualified support for alternative private-sector treatments, their testimony at the hearing prioritized support for the VA’s mental health care system over outsourcing to experimental providers. Since Trump took office, there has been a flurry of lobbying from private mental health interests of all sizes, including four organizations that testified before the House last summer. One of those four – Boulder Crest Retreat – offers what’s called post-traumatic growth therapy to veterans for free at luxury retreats in Arizona and Virginia. The treatment is based on the idea that adversity can spur positive mental growth. It has received glowing national press attention from the likes of CNN’s Jake Tapper and NBC’s Megyn Kelly, and the retreat released a six-month interim longitudinal study that claims its treatment has shown improvements that surpass outcomes inside the VA. Yet the study, which was not peer-reviewed and has no control group, is far from conclusive. It initially measured 49 people but followed up with only 19, and their self-reported improvements generally are limited. Dr. Anthony Mancini, an associate professor of psychology at Pace University, has written about how acute adversity has organically resulted in positive long-term growth. But Mancini said he isn’t aware of any treatment that has proven such growth can be spurred through therapy. Since September, Boulder Crest has spent nearly $50,000 on federal lobbying. Boulder Crest and other alternative treatment providers have found allies among their home state lawmakers, too. In late May, U.S. Rep. Scott Taylor, a Virginia Republican, introduced legislation to require the VA to study the benefits of private post-traumatic growth treatments like the kind offered at Boulder Crest. Even though the VA objected to Taylor’s bill – with agency guidance contending that it “would be inappropriate to assign suicidal Veterans who are not receiving mental health care to an intervention of unknown effectiveness” it has racked up 21 co-sponsors. Boulder Crest was the subject of a flattering VA press release in December and has established an informal partnership with the VA. Similarly, a bill from Republican U.S. Rep. Stephen Knight, the No Hero Left Untreated Act, demands that the VA carry out a one-year pilot program to provide access to magnetic-guided resonance therapy. Magnetic resonance therapy has shown promise, but early clinical trials have been flawed. One study, for example, was conducted without a control group, had no female participants and did not follow up to gauge long-term efficacy. Multiple studies examining alternative PTSD treatments, including magnetic resonance therapy, have relied on self-reported results, as opposed to engaging participants in what’s called the clinician-administered PTSD scale, the gold standard in PTSD assessment. Knight’s district in California includes part of Los Angeles, where the preeminent advocate of magnetic therapy, Dr. Yi Jin, offers it through the Brain Treatment Center clinics. While the Brain Treatment Center hasn’t hired a congressional lobbyist, PeakLogic – a software company that has created a platform to manage and monitor the novel treatments – registered a lobbyist in March. Some private interests are looking to get federal dollars for programs that largely overlap with VA initiatives. For instance, several federal lawmakers, including Senate Majority Leader Mitch McConnell, repeatedly have pushed the VA to support an online cognitive behavioral health program from Magellan Health, despite the fact that the VA has created similar online tools. One specific idea floated by Amazon was to offer its signature Dash Button – which allows customers to order staple goods such as toilet paper with one click – to help prevent veteran suicide. The idea appears to largely overlap with the VA’s suicide prevention hotline, which soon will be accessible by typing in just three digits. While the VA has scaled back its use of drugs to treat mental health issues and last year prioritized psychotherapy as a primary treatment for PTSD, a cadre of pharmacological interests is making a play to bring new pills to market that they say can stave off symptoms of military trauma. Leading this charge is the Coalition to Heal Invisible Wounds, a trade group formed in February 2017. The group is made up of Cohen Veterans Bioscience – funded by disgraced hedge fund billionaire Steve Cohen – and Tonix Pharmaceuticals and Otsuka America Pharmaceutical Inc. The coalition has spent $320,000 on lobbying efforts since spring 2017, aimed chiefly at “enhancing VA and (Defense Department) support for clinical research and development of new treatments.” Tonix has spent an additional $100,000 on lobbying, and Cohen has personally spent $360,000. In House testimony last summer, the group said it was seeking greater access to VA patients and PTSD datasets to develop drugs, as well as more grant money for clinical studies. Dr. Lori Davis, associate chief of staff for research and development at the Tuscaloosa VA Medical Center in Alabama, has been a paid consultant for both Tonix and Otsuka. Some inside the VA are hopeful that pharmaceutical companies are taking an interest in PTSD after years of little development for treatments. Yet the drugs in development by these interests include antipsychotic medications and muscle relaxants, which already have been proven to have potentially dangerous side effects. After receiving fast-track designation from the Food and Drug Administration for its PTSD drug Tonmya, Tonix abandoned its late-stage study of the muscle relaxant in late July. Twelve weeks of treatment showed little difference in symptoms between those on the drug and those receiving a placebo. In the trial, the drug showed some promise among veterans with recent trauma, and the company plans to continue its development, with a redesigned clinical trial coming soon. Lobbying has extended to alternative drug treatments, too, including ketamine. Ketamine has shown promise to bring long-term depression relief, but the VA and Defense Department’s clinical practice guidelines recommend against its use due to “long-term safety and efficacy concerns.” Multiple private entities offer ketamine treatment to veterans struggling with PTSD, and Dr. Carl J. Bonnett, founder and medical director of Klarisana, has advocated for VA reimbursements for ketamine treatments offered in his Austin and San Antonio clinics. Since the 2014 VA Choice Act greatly increased the number of veterans seeking private care, the law’s champions – both inside and outside government – have claimed the thousands of private partners are providing top-notch care. Yet documents shared with Reveal show that when the VA partners with private providers, there is virtually no oversight of the quality of that care. An internal 2018 analysis of community care found a “lack of transparency, communication and information sharing about how issues pertaining to quality and patient safety in (the private sector) are addressed.” Similarly, the VA’s Center for Compassionate Care Innovation does not track the long-term efficacy of the alternative PTSD treatments it offers through private partners. The documents further suggest that no standardized reporting mechanisms exist for patients to report adverse events in the private sector and noted little collaboration and communication between the VA and the two contractors administering private care through the Veterans Choice program: Health Net Federal Services and TriWest Healthcare Alliance. Documents also reveal that private providers often don’t share medical records – such as what types of treatment or medication they gave – with VA providers. Official VA policy is to request these medical records only three times before closing out the request, a directive that has led to thousands of VA patients with black holes in their records. A VA researcher in California told Reveal that many veterans who have been weaned from opioids and benzodiazepines at agency facilities return from private care back on the addictive, potentially lethal mixtures of medications. Dr. Tauheed Zaman, medical director of the Addiction Consult and Prescription Opioid Safety Team at the San Francisco VA Health Care System, said this problem largely arises because private providers work in a fee-for-service system and are reimbursed more for medication management than for providing long-term care. 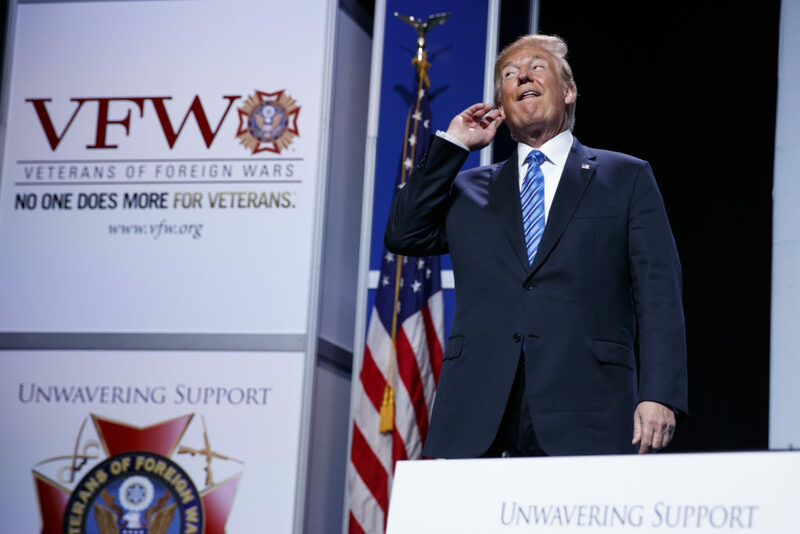 The Trump administration now is working to set up a permanent private care network mandated through the recent passage of the VA MISSION Act, which will almost surely make private mental health care appointments more common. And while the MISSION Act requires the agency to establish quality standards for private providers, it’s unclear exactly how care will be measured and what level of VA oversight private providers will allow. Bills pending in Congress would further outsource mental health care to the private sector. One draft from Sen. Bill Cassidy, R-La., would distribute grants to private providers for suicide prevention efforts. Another bill, sponsored by Sen. Joni Ernst, R-Iowa, would allow a veteran to seek private mental health care if he or she provides a written or verbal statement requesting such care. Currently, VA doctors make these calls in consultation with patients based chiefly on what makes the most sense for their mental health. USC’s Castro said he saw multiple dubious treatments come before him during his tenure as the director of the Military Operational Medicine Research Program. He recalls when the Defense Department invested millions for computer equipment to conduct interactive virtual reality exposure therapies. The therapy was hailed in the media, yet multiple clinical trials showed it was no more effective than traditional talk therapy. Jasper Craven can be reached at jclarkcraven@gmail.com, and Suzanne Gordon can be reached at sg@suzannegordon.com. Follow them on Twitter: @Jasper_Craven and @suzannecgordon.